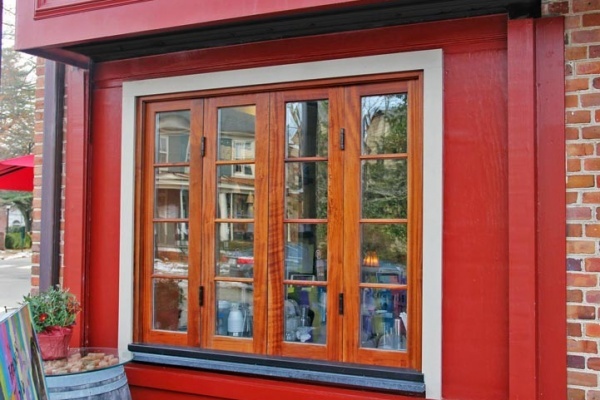 The Hound’s Tale is a casual, cozy bistro-type restaurant created by Don and Geri Pratt of Williamsburg, VA. Located in the Griffin Arms building on Prince George Street, the restaurant features affordable fresh, tasty bites that range from comfort foods with a twist, to dishes that evoke memories of travels abroad. Great spirits include a variety of regional beers and wines as well as an array of delightful, hand-crafted cocktails. 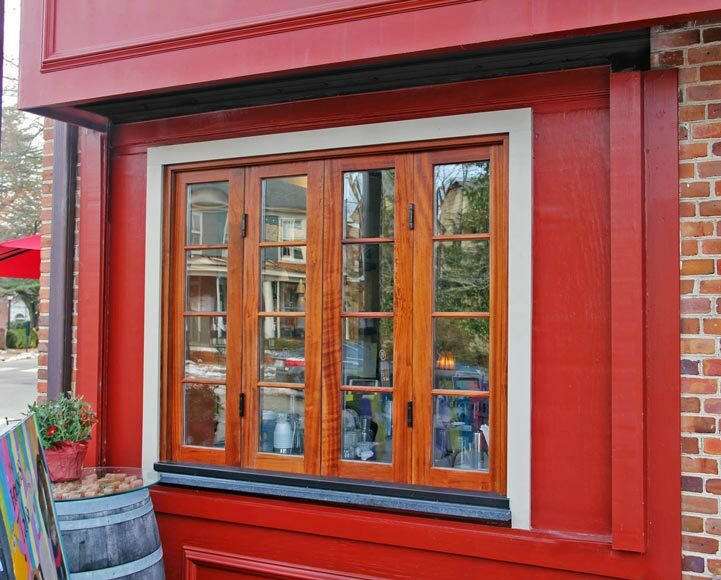 A pass-through window was requested that would allow for the serving of patrons seated outside of the restaurant. A four panel (4 Left) inswing bifold was specified in stain-grade mahogany that resulting in a very eye-catching appearance. Tempered insulated glass was utilized in combination with 7/8” SDL bars. Parrett’s twin locking bolt hardware provided a quick and easy operation that didn’t require the manual locking/unlocking of manual flushbolts at the top and bottom of the operating sashes. This hardware system also facilitated secure locking and optimal weather performance. Parrett was proud to be involved in the project for this restaurant serving both people and dogs!